In the suburbs of the Twin Cities a resident reported an intruder in her basement. It was a horse. 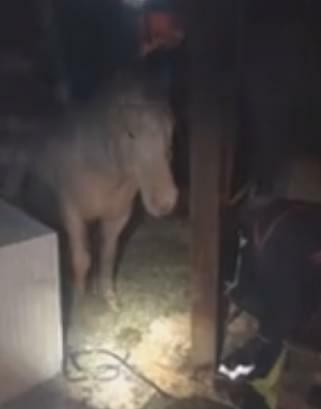 Police arrived at the woman’s home late Friday night to find a horse walking through various rooms of the home. Authorities said the investigation is ongoing and it isn’t clear how the horse got into the house, but that the animal’s owner came by to remove it.